Christie Carr is like any other pet owner. She loves her Irwin, takes care of him, and makes sure he’s kept warm and fashionable. There’s only one problem. Irwin is a partially-paralyzed kangaroo and Carr lives in Broken Arrow, Oklahoma, not Australia. Carr claims that Irwin helps with her depression and is upset that local officials are harassing her about filling out the proper paperwork to keep Irwin in captivity. So naturally she’s moving two hours away to her parents’ house because she doesn’t want to fill out a few forms. As if having your daughter moving back in isn’t bad enough, I’m sure her parents are thrilled about the pet kangaroo chilling around their house too. 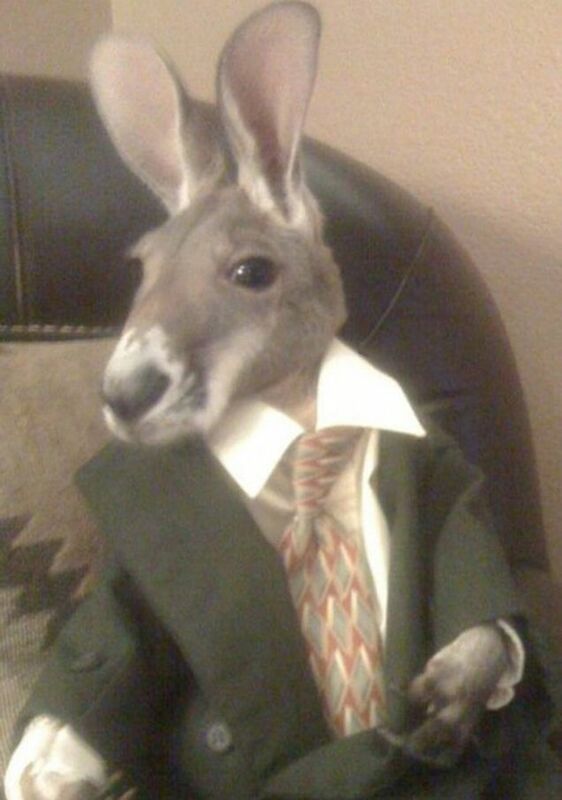 And yes, Irwin gets dressed up every time he goes out. Why wouldn’t he? It’s not like he’s a wild animal or anything. If pet owners that dress their animals up are obnoxious, this one takes the cake.